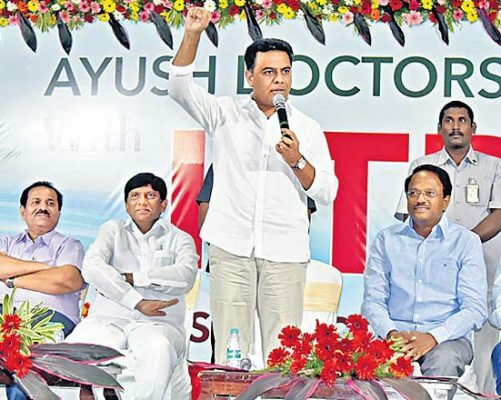 Meanwhile when addressing doctors in a meeting titled ‘Ayush Doctors with KTR’, Minister for IT, Municipal Administration and Urban Development, said that the endeavor of TRS would be to bring healthcare to the forefront in Telangana. Furthermore when addressing a large number of Ayurveda, Unani and Homoeopathy doctors from different districts he spoke about the various path breaking healthcare initiatives of the Telangana government, and said that the government was spending Rs 7,000 crore a year on healthcare. Moreover when referring to some issues raised by Ayush doctors, Rama Rao said a meeting can be arranged with the Ayush representatives where these can be discussed in detail and there is no reason for them to worry. 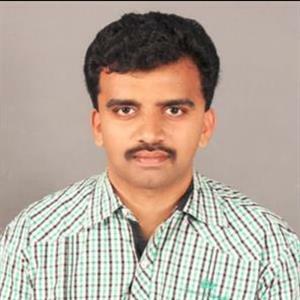 Hence he also said the demand for a bridge course for Ayush doctors, who may want to also acquire an Allopathic medicine degree, would be explored, by stating that Minster Laxma Reddy is an Ayush doctor and is a credit for us and he will solve the problems or challenges faced by you. Moreover he said that the Government is in the process of digitalizing every individual’s health profile and in case if anybody goes through any health issue we can see their records in the system either through their finger print or Iris scan. Furthermore the government also plans to have a free health check-up camp for citizens once a year and expressed his concern about the increase in cancer patients in the state.